One of my favourite places to photograph birds in the UK are the Western Oakwoods of North Wales. These evocative woodlands, which are sadly becoming fragmented and disappearing, are special places filled with ancient twisted sessile oak trees. Mosses and lichens abound, thriving on the moist air driven in by the prevailing winds off the Atlantic. 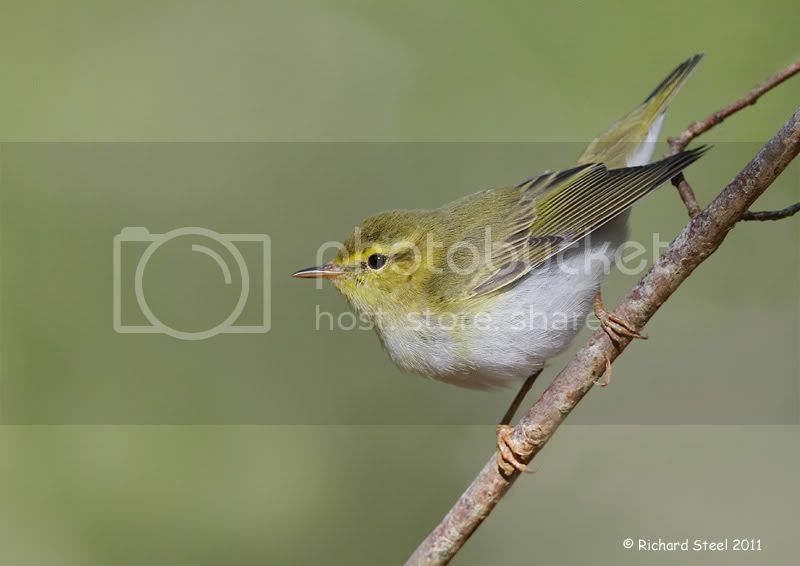 The time window for photography is brief and the key month to visit is May when the woods are brought to life by a trio of summer visiting migrant species: the Wood Warbler, Pied Flycatcher and Common Redstart. 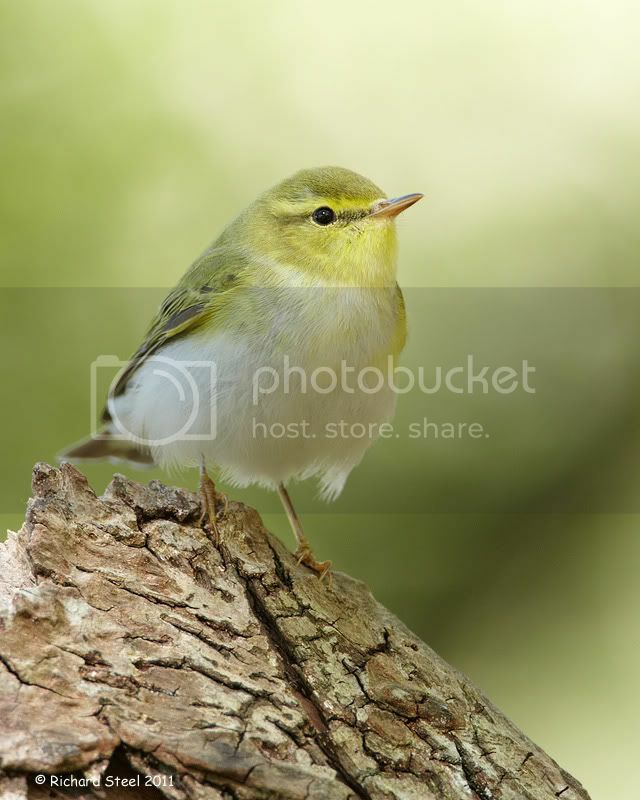 For this first post I will detail the joys of trying to photograph the beautiful Wood Warbler. Sadly this is one of our species, like many that migrate to Africa for the winter, that has been in sharp decline in recent years. It has been estimated that between 1995 - 2008 the UK population has declined by around 61%. No doubt the main contributing factors have been habitat loss, hunting on migration routes across the Mediterranean and climate change. Having located the bird the next problem for the photographer is getting to the level of the bird to take photographs as they are usually 30 to 40ft overhead. The site I visit is in a steeply sided valley and by climbing up a series of rock terraces I am able to position myself level with the canopy and the birds. 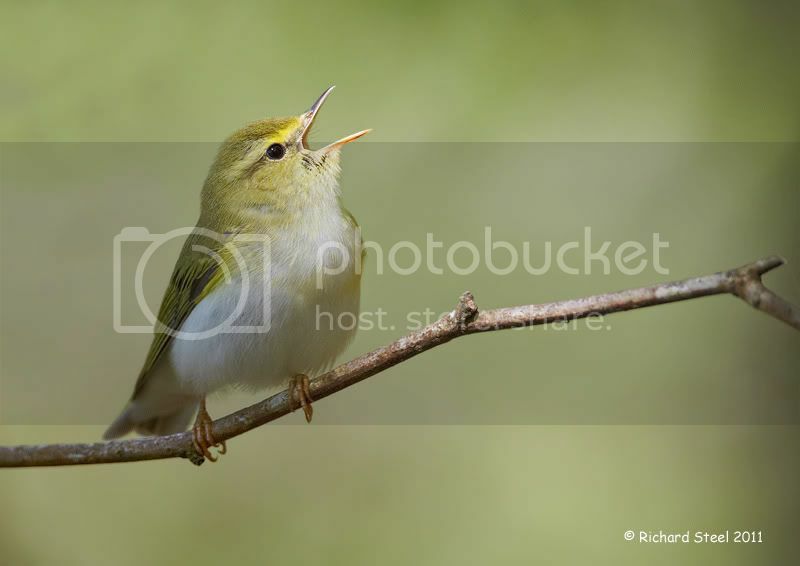 The next step is to look for their song perches, as the Wood Warbler will use the same perches repeatedly to pronounce their temporary territory. It is then just a case of waiting by a perch for the bird to appear. Sounds simple in theory! I love the colour of these birds with their pale green backs, lemon throats and clear white belly feathers. Combined with their stunning song they are just a superb little bird and a real joy to photograph. Spending a day at close range to these birds is an unforgettable experience. 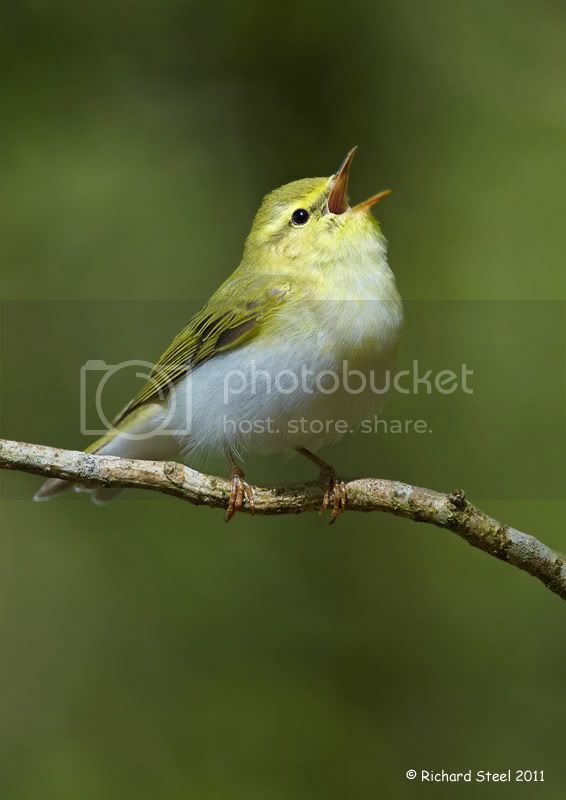 I will finish this post with one last image of my favourite view of Wood Warbler, head back in full song, lighting up the darkness of the woodland landscape. I will continue my journey through the spring Western Oakwoods in my next post with the Pied Flycacther. Very lovely photos and story, a great read! I agree with Mia! A great post with some awesome photos. Welcome to Birding is Fun! Richard. Your bird photography has always been a joy to observe. Thanks for sharing your talents with us as the first BiF! contributor outside of North America. Beautiful photos and poignant story - thanks so much for taking us through the woods with you! A most wonderful, well narrated post filled with spectacular photographs! 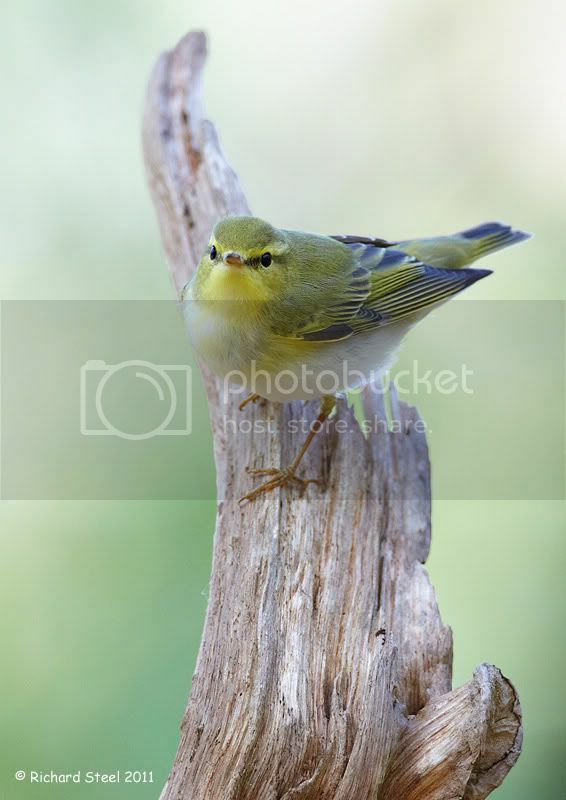 The Wood Warbler is quite a lovely bird! Thank you for sharing such beauty. Wonderful images. Thanks so much for sharing them and the story. What a beautiful bird! The photos are fantastic, very cool post. What a truly stunning series of images. Inspiring work. Difficult they may be but you have mastered the art of photographing these little guys. Great images! Very nice post and wonderful photos. Welcome to the site. The best photos I've viewed on this site so far Rich Steel. Oh my gosh...I'm catching up a bit, so I'm a little late to the post. Your photos are gorgeous. I can't wait to see more! can you please remove me from your birding blog, my blogspot is filled with adds for binoculars and I can't get rid of them... thank you. For those about to bird, we salute you! It's Christmas Bird Count time again! Antelope Island Causeway Harlequin Ducks Shot!